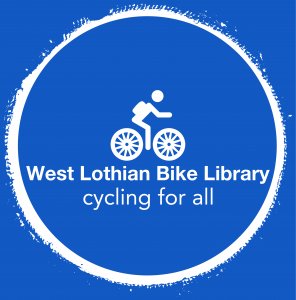 West Lothian Bike Library - Cycling for all! As we round off another great year at the West Lothian Bike Library, we’re delighted to have been able to donate 18 of our refurbished bikes in recent weeks to families via the various support groups and networks we work with. Teaching Staff at Connolly School demonstrate to our volunteers how easy it is to move Sheffield Stands! We will have additional stands available for other schools in the New Year so get in touch if you would be interested in receiving one. The bike stands could be standalone or can be bolted into the ground but you should consult with your Estates contact on the best mechanism for your school. Many in our communities live with a vision impairment, and may think cycling is beyond their reach. 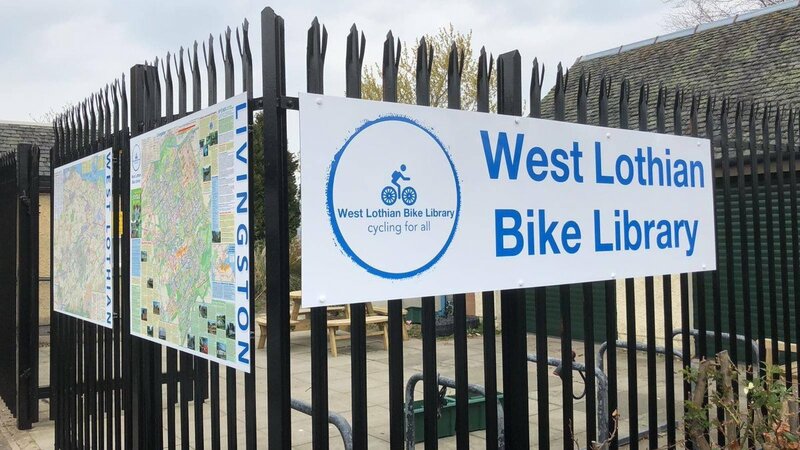 The West Lothian Bike Library’s aim is to reduce barriers to cycling, regardless of circumstance. 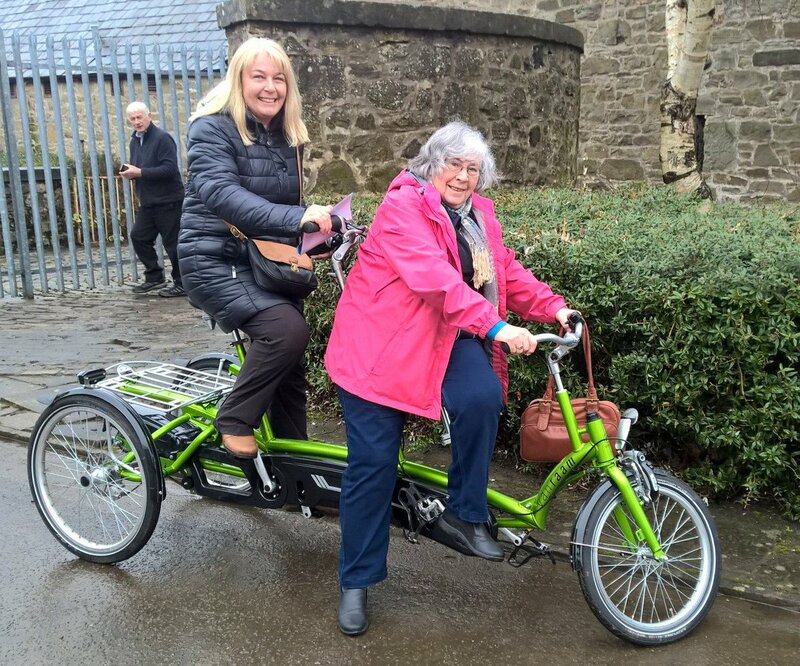 So we were delighted to offer the loan of some of our bikes to the Scottish War Blind Centre at Linburn in West Lothian in November. 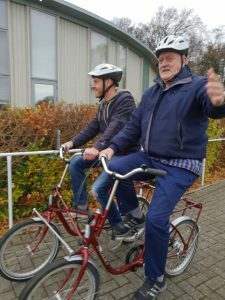 Users at the Centre got to try our Roam Twin Split Bike – safe in the hands of a Centre instructor but still able to participate in pedalling and steering. And of course, enjoy the buzz we all get from cycling a bike! In the pictures are Tom Hedges, Derek Marland, Ian McGregor and Bill Chalmers. Thanks to Kelly from Scottish War Blinded for letting us use the images. If your group or organisation would like to arrange access to our bikes and equipment, get in touch. It’s hard to stay motivated at this time of year with darker nights, colder weather and risk of icy surfaces. But for many of us, walking and cycling is still a vital way to get around for everyday journeys, and also a great way to continue to stay fit and healthy over the winter months. Think dark skies, aurora borealis and a comfy snood! As ever though, stay safe this winter. 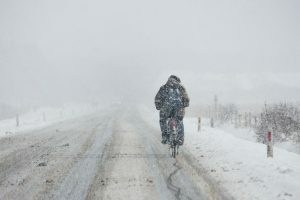 Here is a collection of great tips from the people at Love to Ride on how to keep cycling this winter. Enjoy! 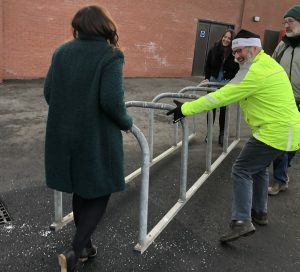 One of the West Lothian Bike Library’s goals is to reduce barriers to cycling, regardless of ability or circumstance. We’re taking part in the SEStran Go e-bike scheme, where we make electric bikes (e-bikes) available for a small rental fee to West Lothian residents, as well as some workplaces. The project is aiming to raise awareness of e-bikes and let people try them out. So what’s it really like to ride an electric bike? One of our volunteers and a local resident, Deborah, tried one out over the summer. 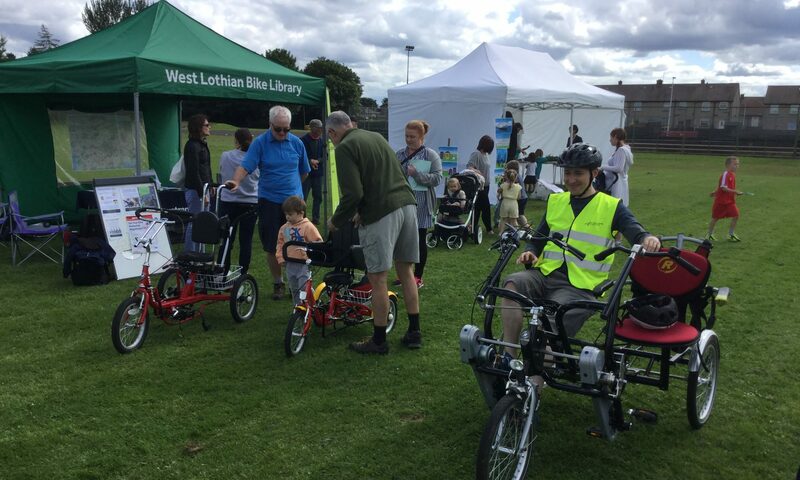 “I tried out one of the West Lothian Bike Library’s electric bikes during a community event where the Bike Library were showcasing them, and I was keen to learn more about them. I cycle a bit where I live to the shops and rail station, and I’ve cycled around 13 miles in the past on an occasional cycle commute over the Bathgate “Alps”, where an electric bike would definitely have come in handy. I’m generally comfortable with new technology, and our household car is electric. I’ll confess I’ve been a bit skeptical about both electric vehicles and electric bikes in the past for lots of reasons (‘cool’ technology shouldn’t take priority over walking, cycling and taking public transport more) but I increasingly see a role for them in the everyday transport mix. 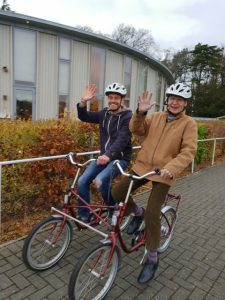 So I arranged with David to pick up one of the Giant electric bikes at the Bike Library’s base in Crofthead Community Centre, Livingston for a four day period. The pick-up process was easy. David showed me how to switch it on (never underestimate the power of stating the obvious), gave me the kit for charging the battery and a good quality bike lock. The bike costs £50 for a week’s hire as part of the Go e-bike scheme for residents, or £25 for four days. Two forms of ID have to be presented, one of which must be a photo, along with £100 deposit on a card (which will be returned to you when you return the bike). All understandable as e-bikes cost a fair bit more than normal bikes, though prices are starting to come down. The basics? Just like a conventional bike, you use the pedals to go. The big difference with an electric bike is the on-board battery that gives you an assist when you pedal. I’ve read about the electric bike smile, and I think that’s very accurate – the boost you get from that bit of assisted power is exhilarating. 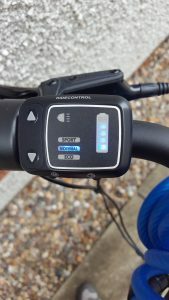 The bike I used had gears and three different levels of power – eco, normal and sport. Eco restrains it a little and saves power whilst sport mode feels pretty quick. I mostly rode it on normal mode. The bike was very easy to ride, and I felt like I didn’t have to pedal as much compared to a conventional bike – it felt almost effortless coasting along on some stretches. The biggest boost was on hills – I had a sensation of the bike pushing me up a few hills I tried (including the infamous Kingscavil!). In terms of how long the battery lasts, it really depends on what mode you are in and how hilly the terrain is. 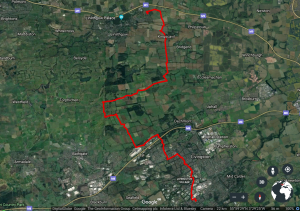 I cycled the bike for nearly 16 miles and over 2 hours, albeit on a relatively flat route, and the five bars on the bike’s energy gauge had only reduced by one – meaning there was plenty of juice left for further adventures. Conversely, I cycled up some hill routes using sport mode a fair bit, and the battery bars depleted much quicker. How do you charge the bike? A charging kit comes with the bike, and it’s a piece of cake to use. Just unlock the battery on the bike with the key provided, attach the charging cable and plug it into a household socket. It takes a couple of hours to fully charge from flat. A slight downside of an e-bike is that it feels heavier than a normal bike (though even everyday bikes can vary substantially in their weight). This can make it awkward to manoeuvre if you have to wheel it up some steps or lift it, or potentially if you run out of battery on a hilly section (remember, you can pedal it like a normal bike even if the battery runs out). I also felt I probably could have gone a little faster on my conventional bike on some straight, flat road sections – but I don’t think that’s a bad thing as e-bikes are heavier and it’s probably a good idea to have a limit on speed in case of a collision. Speaking personally, I have a reasonable level of fitness already so if I wanted to get my heart-rate going for health reasons during a bike ride, I probably wouldn’t choose an e-bike. It’s not 100% effortless going up hills on an e-bike but it is significantly easier, and cycling along flat routes barely registers. That said, for people who do need to improve their fitness gradually, an e-bike might be a good way to ease into exercise. The e-bike really comes into it’s own on everyday trips and the longer, harder cycle trips, like a cycle commute you have to make regularly. I cycled from Linlithgow to Livingston on it, using quieter roads in the Bathgate Hills, and the journey was a good 20 minutes quicker than I’ve previously done it using a pedal bike. That time (and personal energy!) saving maybe makes cycle commuting feasible for more people than conventional bikes. I think it’s also a game-changer for people out there who want to cycle more but can’t for fitness or health reasons, or even lack of confidence. On an e-bike, you don’t need to worry so much about cycling slowly on a road and what vehicle drivers behind you might do (that shouldn’t be a worry for people on bikes but realistically, it is) – an e-bike helps you maintain a steady pace and ensures you don’t get stuck going up hills. That’s an important confidence booster for people who are less confident on bikes. 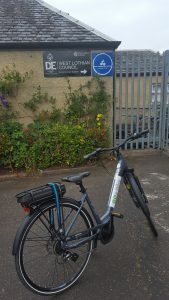 As well as the Go e-bike scheme for residents in West Lothian, a separate Go e-bike scheme is also in operation for workplaces, and a number of employers have already taken loan of e-bikes in West Lothian for trial by staff. If you’d like to try out an e-bike, contact us to book out a bike. We can also give you advice on a bike to buy if you feel ready for an electric bike. 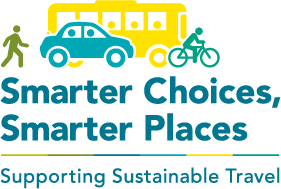 For cycle route planning in West Lothian, try Open Cycle Map and consider the Spokes 2018 West Lothian & Livingston Cycle Map, particularly useful to help navigate Livingston’s extensive shared use path network. You can buy a copy at the West Lothian Bike Library, from Spokes directly or in some local bike shops. Remember to bide by codes of conduct on shared use paths like the canal towpath and other paths where both people on foot and on bikes share the space. Sustrans and Scottish Canals offer advice on how to use shared paths with respect for each other. The GO e-bike scheme for residents has been running in West Lothian for some time. Did you know there is also an employee scheme where workplaces can take on a number of our electric bikes for free use by staff? Several major workplaces in Livingston are currently taking part in the scheme for a 6 week period. 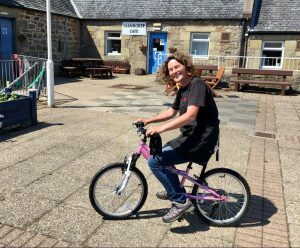 The West Lothian Bike Library supply the bikes as part of the Sestran-funded scheme, and workplaces across the southeast region are eligible. Staff register on the free App-Bike app and can then reserve a bike at their workplace, unlock it with the app and use for 24hours for free. Bikes can be used for leisure, commuting or business travel, whatever you need. Electric bikes are a great way to reduce your business vehicle mileage and staff will also benefit physically and mentally from cycling. Support is also on hand if your staff need cycle training, advice on bikes to buy after the scheme, and we can even help with led bike rides. Interested? Look out for local info at your workplace or contact us to see which workplaces are currently taking part. Get on your bike in West Lothian! Opportunities for cycling in West Lothian are getting better and better. Cycling infrastructure is gradually improving through Council, Scottish Government and development-linked funding. In Whitburn, Town Path improvements have already been completed and the path outside Polkemmet Country Park linking Greenrigg to Heartlands is set to be widened to create a safe, traffic-free active travel route for cycling and walking. 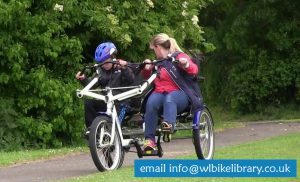 West Lothian Bike Library offers affordable bike hire and training, including electric and adapted bikes for inclusive cycling. Spokes have just published an updated Livingston and West Lothian cycle map (2018). You can buy a copy at our hub in Crofthead or the adjacent Farmhouse Cafe, in some local bike shops and via Spokes themselves. 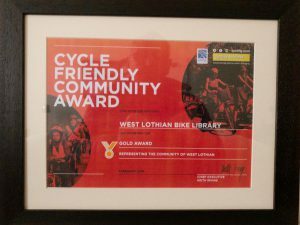 Pete is one of the people who has used the West Lothian Bike Library’s services. 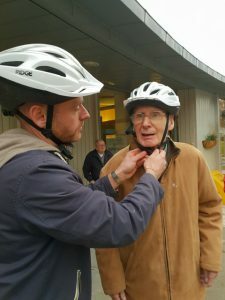 He originally got in touch with the All Ability Cycling project developed by the West Lothian Council Health Improvement Team, and which the West Lothian Bike Library now runs in 2018 with many of the same volunteers and bikes. Here is Pete’s story which he has kindly shared with us. We hope it is a source of inspiration for others. Cycling for all! “In 2015 I suffered a subarachnoid brain haemorrhage leaving me completely paralysed on the left side of my body. Determined not to allow this affect me too much I set a number of goals: to get walking, hill walking, running & cycling again. Through my brain rehabilitation team I achieved the first goal, albeit walking with a stick & a limp. However, as cycling has always been a passion of mine, I really wanted to get on my bike & get cycling again with my friends on weekend social rides & charity rides. After trying balance bikes & standard bikes it was quite obvious that with little or no use of my left arm & limited use of my left leg, balance was going to be a big barrier to getting cycling again & improving my fitness. As I looked into various disability cycling options, it became clear to me that an adapted trike would be the best way forward. After much research I got in touch with Blazing Saddles & FABB Scotland & they put me in touch with the West Lothian Council All Ability Cycling project team. After speaking with the Health Improvement Team & volunteers who ran this project, I was encouraged to attend the Monday afternoon sessions so I could understand what options were available for all ability & inclusive cycling. As soon as I arrived at my first session the team welcomed me & discussed what options they had available and would suit me. Almost immediately they went to work selecting a suitable trike that I could use, making the necessary adjustments to adapt the chosen trike for my needs & use. From then on I came to the afternoon sessions for 8 weeks. 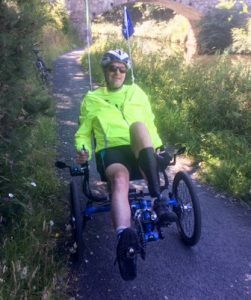 At that time, the sessions were run in Broxburn in West Lothian, giving plenty of opportunities to try out the trike on different terrains. This helped me build my confidence as well as work with the fantastic team who were helping me to get back into cycling. After about 8 weeks of attending the sessions I was offered the loan of the trike I had been using, which was fantastic. I completed the necessary paperwork, which was straight forward, simple and easy to understand & the bike library team would continue to support me. Being a non-profit organization we arranged a suitable time for them to drop the trike off at my house where I stored it. During the loan of the trike, almost immediately, I was able to go on weekend social rides along the union canal towpath with my friends & family, who are all able bodied. This also allowed me to build my confidence as well as the social & physical benefits that all ability cycling provides. After a few weeks of riding from Linlithgow, I was able to ride as far as Broxburn & then Ratho (for cake & coffee!). The next step for me was to look at whether the trike I was borrowing would be a long term option for my needs, so through the suggestion of the team I went to other All Ability hubs to try out various options. An important criteria for me in selecting a bike was to be able to go on days out with my family to places like Loch Katrine. That meant on days out, I would need a trike that would fold. So after much research I found a suitable trike that folded & more importantly at an affordable price. The Library very kindly extended my hire until such time that I had bought my new trike. I went ahead & purchased my foldable trike. This has given me even more freedom. Without the Bike Library’s help, I would not have been able to even contemplate getting back cycling, but they gave me the confidence & equipment to help get me back into cycling socially, increasing my fitness at the same time. Recycle bikes while the sun shines! We occasionally get asked “what exactly is a bike library”? 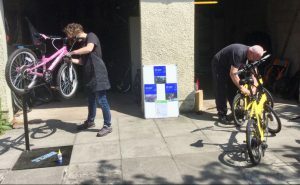 Well, as well as running an Inclusive Cycling project, hiring out e-bikes under GO e-bike, offering cycle training, led bike rides and bike servicing – we recycle bikes! We accept donations of used bikes of any kind. Our mechanics, who are trained up to Velotech Platinum level, then assess bikes for refurbishment potential. If suitable, they will then service and repair them. We have a healthy stock of secondhand bikes ready for hiring out. Hiring one of our bikes for a short period of time might be useful if you only need it for a specific purpose, or if you’d like to try out a bike before you decide to invest in one. Some like to bask in the May sunshine. We recycle. We also sell refurbished bikes from as little as £30 (depending on stock availability). Our motto is cycling for all, regardless of your income. All our work on bikes, servicing and refurbished bikes, comes with a 3 month warranty. Get in touch if you’d like to come and have a look at our stock, or pop over to Crofthead Community Centre on Thursday and Friday 10am-2pm. Inclusive cycling sessions – we need your help! 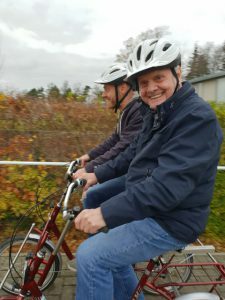 One of our core activities at the West Lothian Bike Library are regular Inclusive Cycling sessions. These use adapted bikes to help adults and children who require more mobility support and assistance to try out cycling. Why do we do this? One of our core goals as an organisation is to make cycling an inclusive activity for all – regardless of your mobility, ability, bank balance, postcode, age, gender or anything else! We run an Inclusive Cycling session on Mondays 1700-1800 at our base at Crofthead Community Centre in Livingston. In these sessions, trained volunteers help participants use a wide range of adapted bikes on the local off-road path network. Demand for our Inclusive Cycling sessions is high however. We need more volunteers to help us run additional sessions. We would like to run at least two sessions on Monday nights, and an occasional session on a Thursday. 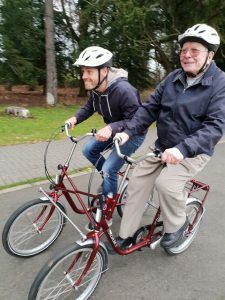 If you are willing to commit one hour every four weeks to help out with an Inclusive Cycling session in Livingston and would like to learn a new skill – get in touch. We provide full training, insurance and PVG checks.